The U.S. & Canada Edition of the I.D. 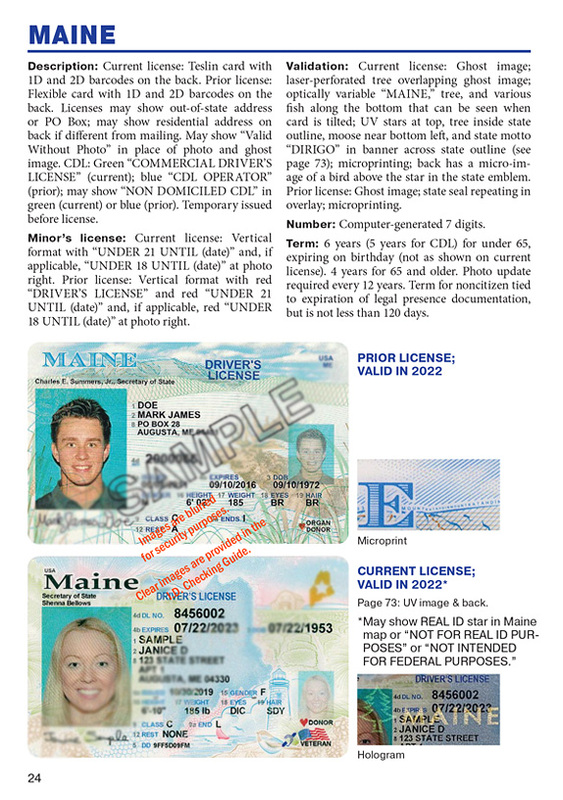 Checking Guide provides full-color samples of ID cards, driver's licenses, and other identity documents from every state and province in the United States and Canada. Federal documents, Military IDs, and Consular ID cards now included too. License extensions for military personnel detailed. Key military and immigration cards and visas. Foreign consular ID card samples. UV images for many current format licenses. Major bank cards (with security contact).